I've always had the travel bug, from a very young age. 2016 has been another travel-filled year, with my trips to Prague, central France, Warsaw, Paris and last but not least the September inter-railing adventure. 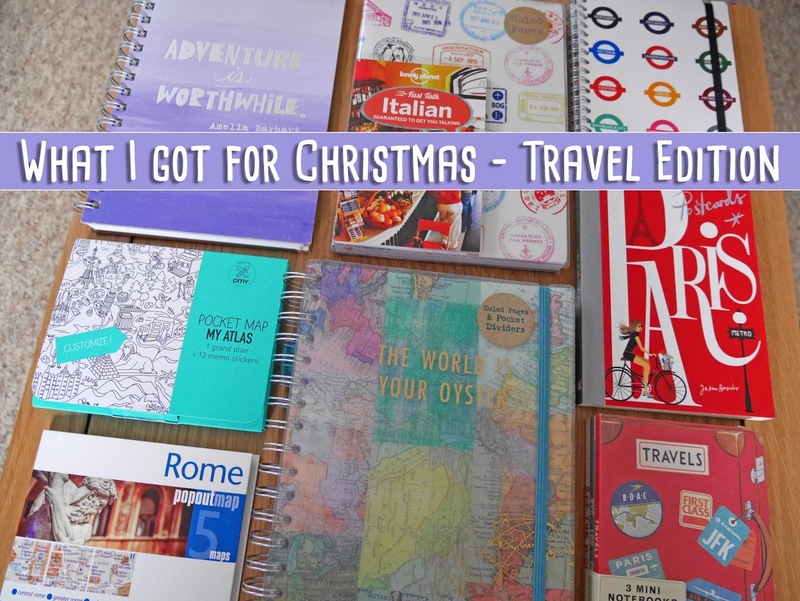 My friends and family treated me to some really lovely travel-themed presents for Christmas this year, so I thought I'd share them on my blog today! I got some of the Paperchase travel notebooks from my family. The Amelia Earhart notebook is my favourite; I really like inspirational travel quotes! I've already started planning next year's Disney World trip in 'The world is your oyster' journal. My Mum was so kind getting me more travel stationary. She knows how much I like notebooks and writing about my holidays in them! The 'Postcards from Paris' book and the set of vintage travel notebooks were from my boyfriend Stuart. I absolutely adored Paris when I visited earlier this year and this book is full of wonderful Paris-inspired illustrations. The notebooks are really unique and the perfect size for my handbag. I'll be using them to plan future trips! Stuart's parents gave me the 'Pocket Map: My Atlas'. I can't wait to colour in all of the places I've visited! 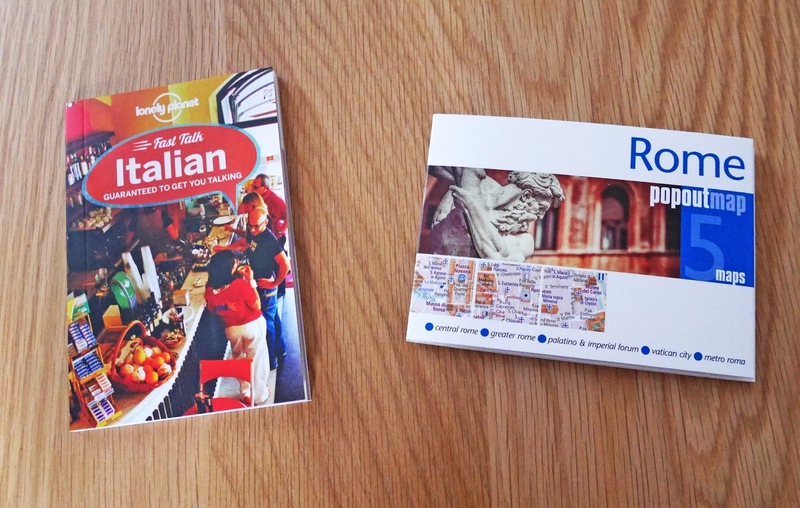 Stuart also bought me a Lonely Planet Italian language guide and the Rome edition of the popout map series. We're off to Rome next week, so I can't wait to carry these in my travel bag! I had one of these maps for my NYC trip in 2013 and it was super helpful. I'm sure we'll be using the Rome one lots when we're wandering around the city. He's so thoughtful, these gifts are perfect for me! I'm so excited to take lots of these gifts to Rome with me. We have that "the world is your oyster" journal and we've been so excited to plan our travels to 2017 in it too! These are amazing gifts especially for those wanderlust people! Can't wait to read about your travels in 2017! Aww it's such a great journal! Have you got any trips planned yet? Thanks for always writing such lovely comments!